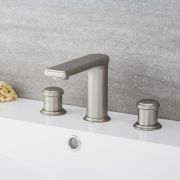 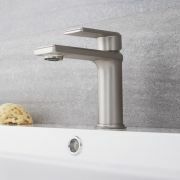 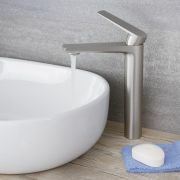 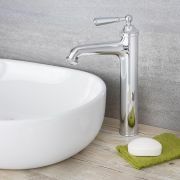 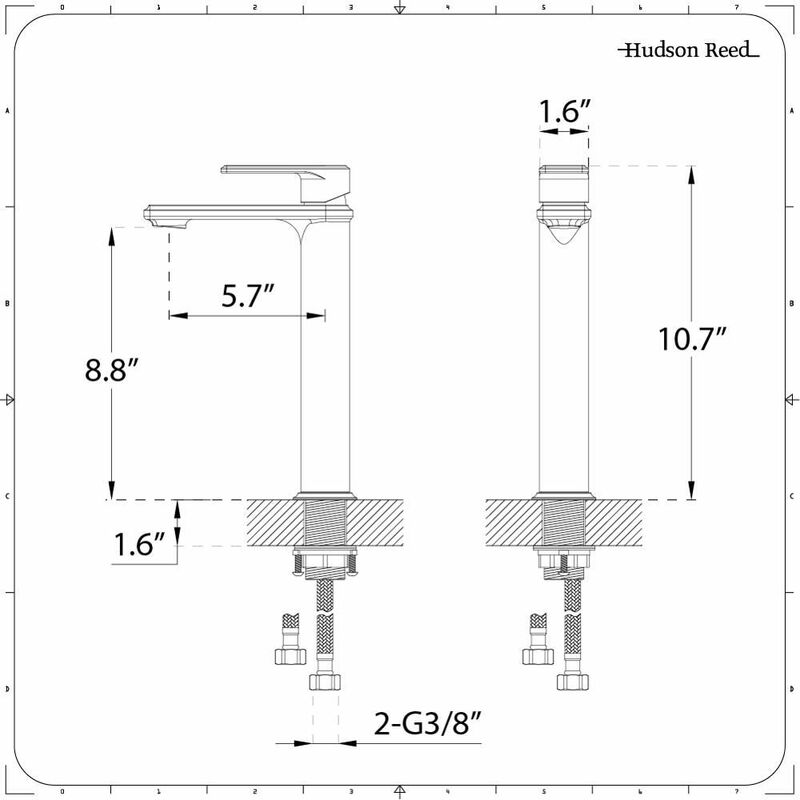 Deliver a touch of modern designer style to your bathroom with this Eclipse single-hole vessel faucet. 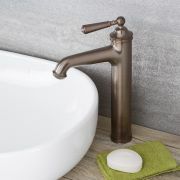 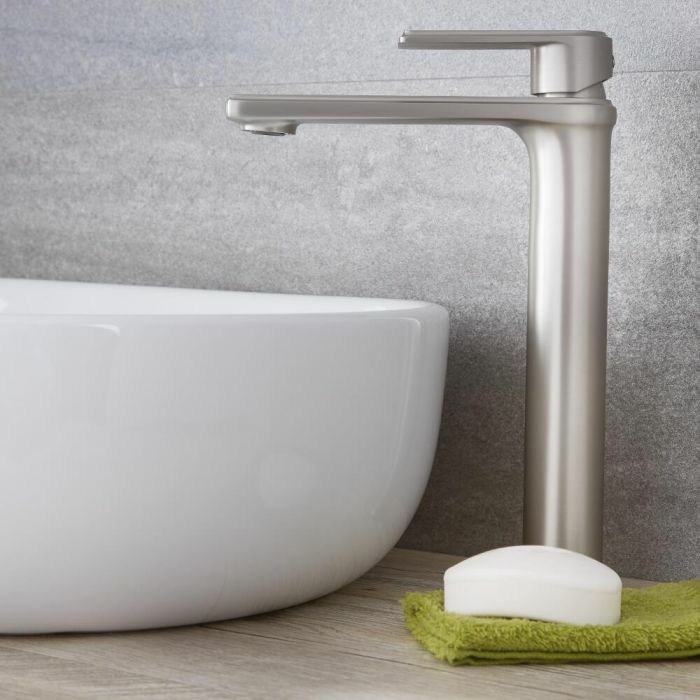 Incorporating clean lines and a lovely brushed nickel finish, the faucet boasts a solid brass construction for outstanding durability. 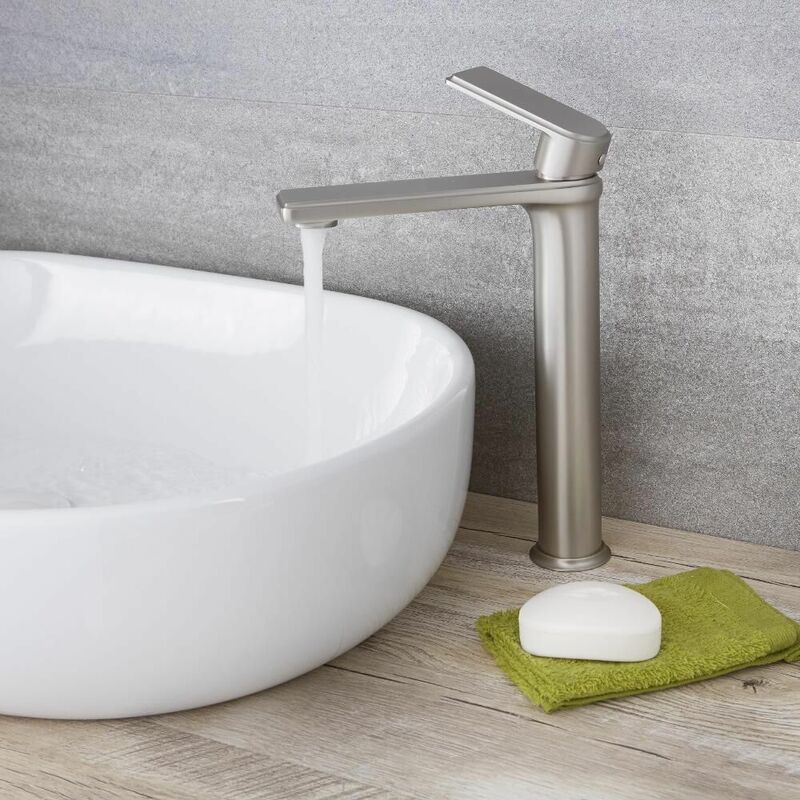 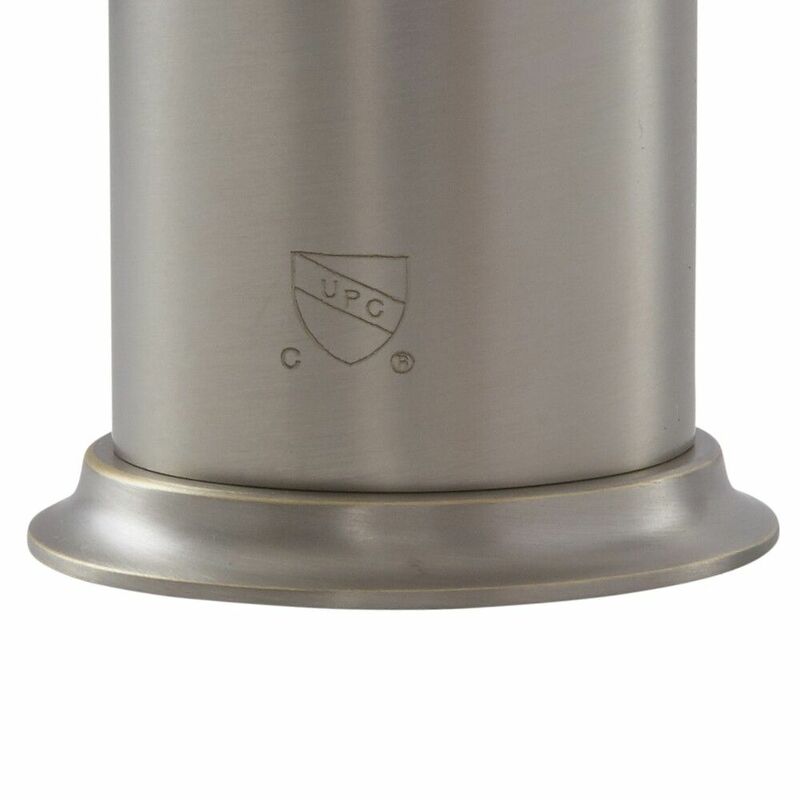 A perfect choice to accompany a contemporary vessel sink, it utilizes ceramic disc technology for the prevention of drips and leaks. 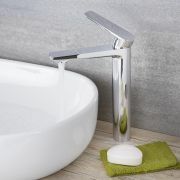 Please note: drain not supplied.